West Country based former Royal Marine Alexander Blackman could be released on Bail on Friday after serving 3 years in a Wiltshire prison. 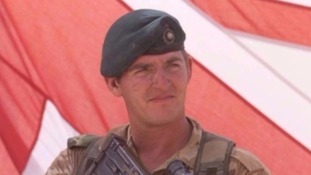 The forming commander officer of Royal Marine Alexander Blackman has welcomed the decision to grant a fresh appeal in the case. Could murder conviction of 'Marine A' be quashed? A rally has taken place outside Parliament in support of a Royal Marine from Taunton jailed for murdering a Taliban insurgent. Frederick Forsyth says the whole legal procedure surrounding Marine A was "absolutely flawed" and therefore the verdict was "unsafe". Alexander Blackman is serving 8 years in prison for murdering a Taliban insurgent. The wife of a former Royal Marine from Somerset jailed for killing a wounded Afghan fighter is beginning a fresh legal bid to clear his name. Alexander Blackman is serving life for murder but hundreds of supporters are expected to join his wife Claire who is from Taunton when she applies to have the case referred back to the Court of Appeal. She says the charge should have been manslaughter because of combat stress. Alexander Blackman is serving eight years for murdering a Taliban insurgent. 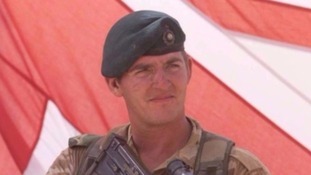 A former Royal Marine from Taunton found guilty of murdering a Taliban fighter was suffering from a 'recognised mental illness' at the time that went undiagnosed - according to psychiatrists. A report found Alexander Blackman was struggling with combat stress and had an 'adjustment disorder'. There is an appeal to reduce his charge to manslaughter. The Ministry of Defence say it has followed the legal process throughout the case.